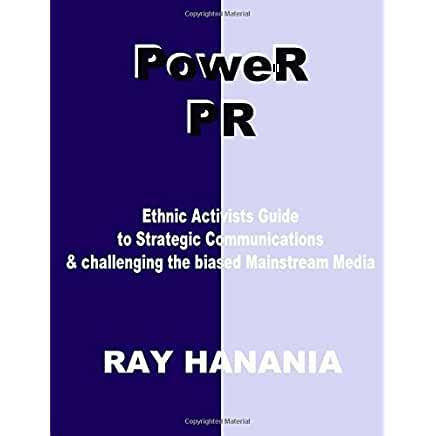 By Ray Hanania — This week, we’ve seen a perfect example of how the rejectionists over-press their support for Palestinian rights in Europe and end up creating disasters that harm the Palestinian cause. The activists have been pressing European Union officials to declare that Jerusalem is to be a shared city. A proposal condemning Israel’s expulsion of Palestinians from East Jerusalem and declared the city the capital of a future Palestinian State was drafted by Sweden, which currently holds the presidency of the EU. But while the leaked draft was praised as further proof that world opinion is turning up pressure on Israel to change its ways, the Israelis responded with their own counter pressure and the draft was dramatically changed to include the usual rhetoric condemning Israel but dropping the call to make East Jerusalem Palestine’s capital in a two-state solution. The activists pushing this, however, don’t care that this battle has been lost. They’re goal is to portray Israel as intransigent, which is often is, and to solidify the false promises of their real agenda, creating one-state as their “dream solution” to the long simmering conflict. But one-state is not a dream at all and is instead a nightmare that even if it had a chance of becoming real would find Palestinians victims of a stronger occupation with legitimacy that continues to deny their rights. Essentially, the rejectionists have their “one-state” solution in the current situation with Israelis living in freedom under an umbrella of military security and Palestinians stumbling through life under oppressive laws in the occupied territories and societal discrimination against most Palestinian “citizens” of Israel. Palestinians, under their failed leadership of the Fatah, the rejectionists and Hamas, continue to witness the weakening of their rights. And they have been brainwashed into viewing “crumbs” as victories when the real victory is a slice of the bigger pie that continues to elude Palestinian activists. Instead of fighting one issue at a time and accepting shortcomings and the “crumbs” as successes, Palestinians need to re-organize their movement to achieve independence by abandoning the old failed policies and embracing real goals. That means instead of pushing for unenforceable resolutions by the European Union that give Palestinians nothing more than false hope and usually more disappointment, Palestinians should instead define an “end game” strategy that defines clearly the creation of two-states. Issues like the sharing of Jerusalem and the compromise and compensation of Palestinian refugees, versus the retention by Israel of some settlements and settlers, should be put on the backburner of this vision. Fighting for a declaration of a “shared Jerusalem” without achieving acceptance of two-states based on compromise is a dead-end similar to the dead-ends of the past. I’m not saying, though, that we don’t as Palestinians fight for the sharing of Jerusalem, compensation for the refugees or even some refugee repatriation into Israel itself. But I am saying that we need to reverse how we are fighting for our rights and instead of taking baby steps that go nowhere, go right to then end of the battle and push for the creation of a sovereign state. My proposals are intended to do just that. Push Israelis and Palestinians to the last step and accept the creation of statehood, and allow Palestinians to declare a state on vague premises that Jerusalem will be shared and the plight of the refugees will be resolved. But it avoids the pitfalls that continue to prevent any forward movement as we are now seeing from the European Union. Can we afford to believe that a temporary success pushed by a government that is sympathetic to Palestinians, like Sweden, can survive when the EU presidency again changes hands? I don’t think so. These are but games we are playing and instead of moving towards peace we are pushing the region into conflict. Already Israelis are battling the EU and digging in their heels over the issue of Jerusalem, while Palestinian activists are now telling their people that continued resistance and abandoning the two-state solution will punish Israel for not accepting their demands. My platform clearly addresses what we need. It spells out how we can achieve peace realistically and it even defines solutions to the most difficult of challenges including the problem of the Palestinian Refugees and the Right of Return. While Palestinians have an absolute right of return based on international law, that is not a realistic option given 62 years of failed Palestinian, Arab World and yes, Islamic World leadership. But through creative strategies, including my Settler-Refugee Exchange Plan which would require Israel to accept one refugee for each settler in a settlement it retains in a peace deal while requiring Palestinians to accept the reality that a wholesale return to homes and lands that have long since vanished and changed is not possible and must be compromised. In reality, Palestinians need to start thinking not about themselves but as a people. Too many of our people live in the squalor and the despair of poverty-stricken refugee camps. Rather than find hope in peace, their emotions are being provoked by the constant failure of the activists who reject two-states and advocate the impossible nightmare of one state. But the activists don’t care. As long as Palestinian refugees are denied real hope, denied real solutions, their suffering compels the conflict to continue. And the continuation of the conflict only benefits the rejectionists, the extremists and those who oppose compromise. They continue to believe that they can turn back the conflict “some day” and walk back into the rights they lost in 1948. It’s not going to happen. And to tell the refugees that it will happen is irresponsible, selfish and a formula for a life of continued despair and suffering. I want that suffering to end. It’s time Palestinian started to confront the challenges we face not with emotion and anger that oftentimes turns into hatred, but with pragmatic reasoning and creative strategies. We can make two-states and peace happen, that includes satisfying the rights of the Palestinian Refugees and a sharing of Jerusalem if we are willing to believe. THIS POST HAS BEEN READ 3104 TIMES SO FAR. THANK YOU!